Why risk your engine's health when the stock rubber hoses start to age when you can upgrade to the DDMWorks 4 ply silicone hoses! The DDMWorks silicone coolant line kit will provide your engine bay with a one-of-a-kind advantage in style and performance. DDMWorks silicone kits are a multi layer system, combining the highest grade silicone and heat-resistant embedded fibers, creating a high performance product. 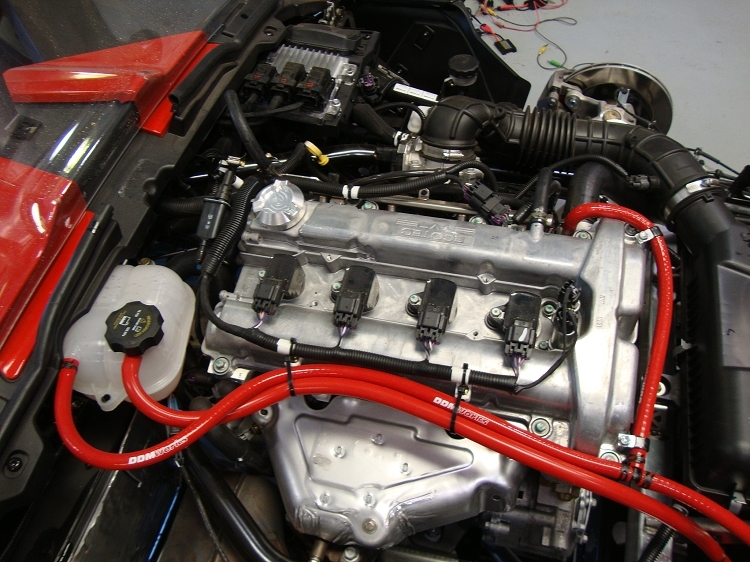 The silicone hose provides an exceptional and efficient reduction in heat into the engine bay, increased pressure tolerance, and a lifetime of satisfaction. 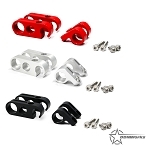 DDMWorks silicone coolant lines are a direct OEM fit on the Slingshot and are available in Black, Red, Orange, Green, Blue and Purple to enhance the aesthetic appeal of your engine bay. Our silicone hoses are resistant to heat, oil, and fuel, which results in increased durability and a lifetime of satisfaction.